This exciting new development at the renowned Kew Gardens provides visitors with the opportunity to witness and discover unseen underground arboricultural sights, as well as experiencing life at tree top level some 18 metres above the ground. We have undertaken a series of irrigation projects for Royal Botanic Gardens at Kew in recent years, and in doing so demonstrated our ability to work in an important tourist location while also taking great care to avoid damage to plants and trees. All tree root areas required hand excavation under Kew staff’s keen eyes. 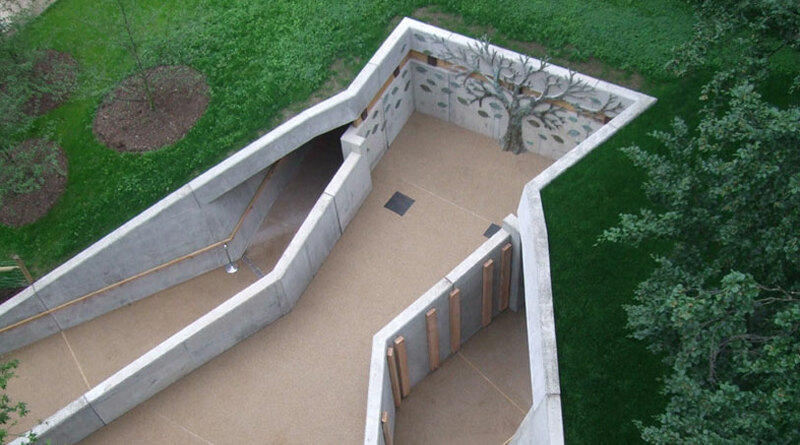 The Rhizotron is accessed through what appears to be a crack in the ground and comprises a series of buried chambers (subway) that enable visitors to look at displays of the tree root environment. The tree top walkway required prefabricated pile caps set on isolated bearing piles along the walkway route. Both the Rhizotron and walkway are bespoke structures with irregular and unique shapes and profiles. The design of the superstructure uses self weathering steel, and finishes are to the highest standards. The whole project has a strong emphasis on environmental responsibility, with funding from a range of sources and environmental initiatives.